Mix things up with a couple creative cocktails for your special someone! A toast to you this Valentine's Day! Rosé is pink, flowers will do, but why not make drinks or a cocktail for two? "Cocktails are great way to elevate a typical Valentine’s Day occasion, and there’s nothing like a fresh hand-crafted cocktail to set the mood, especially in an intimate setting," Dominic Alling, the mixologist behind developing hand-crafted cocktail recipes for The Botanist Gin and Cointreau, told "GMA." A fresh cocktail can really "set the mood" for a special occasion, he added. Whether you reach for a flute, a high ball or a coupe-id (get it!?) these libations are the perfect thing to raise a glass and propose a toast to that special someone. Spice things up with a red pepper infused cocktail or sweeten up the evening with a royale champagne punch topped with fresh berries. Check out the festive foods to sweeten up your Valentine's Day! What could be better than chocolate and flowers all in one? Don Angie chef owners share a romantic three-course dinner menu to make at home. 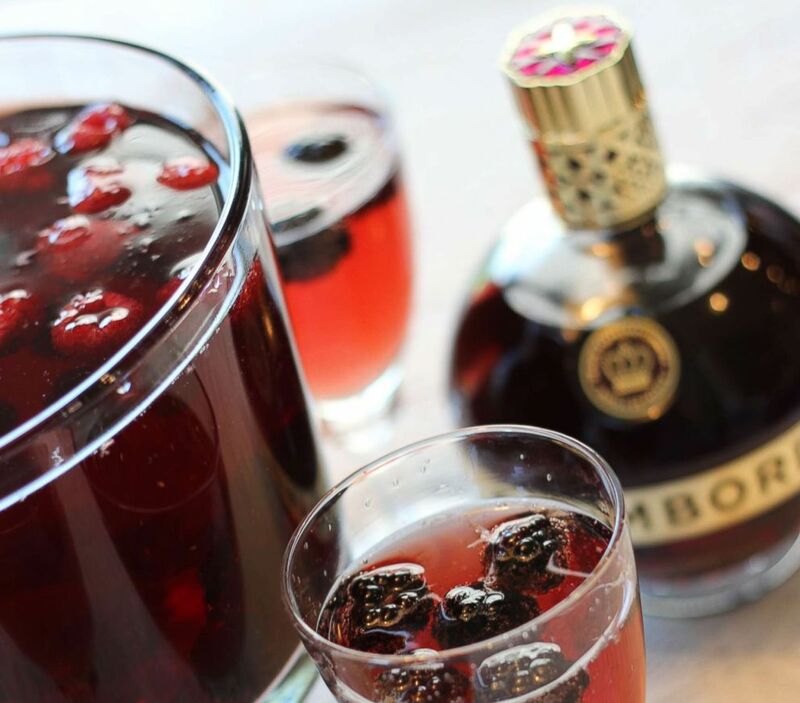 (Chambord) A sparkling Chambord and champagne cocktail with raspberries and blackberries. Take two bottles of cold champagne, cranberry juice and Chambord. Pour into a punch bowl or large pitcher. Stir and garnish with raspberries or blackberries (or both, up to you). Serve as soon as the clock is ready! 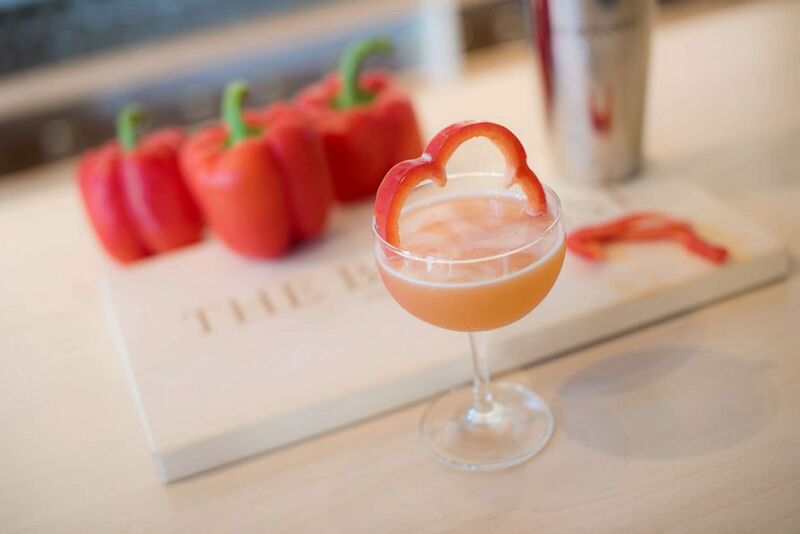 (The Botanist Gin) The Red Lady cocktail uses red bell pepper and orange bitters for a sweet and herbaceous kick. In a cocktail shaker, muddle red bell pepper. Add remaining ingredients to a cocktail shaker. Shake without ice then add ice and shake again. Double strain into a coupe glass. Garnish with a strip of julienned red bell pepper. 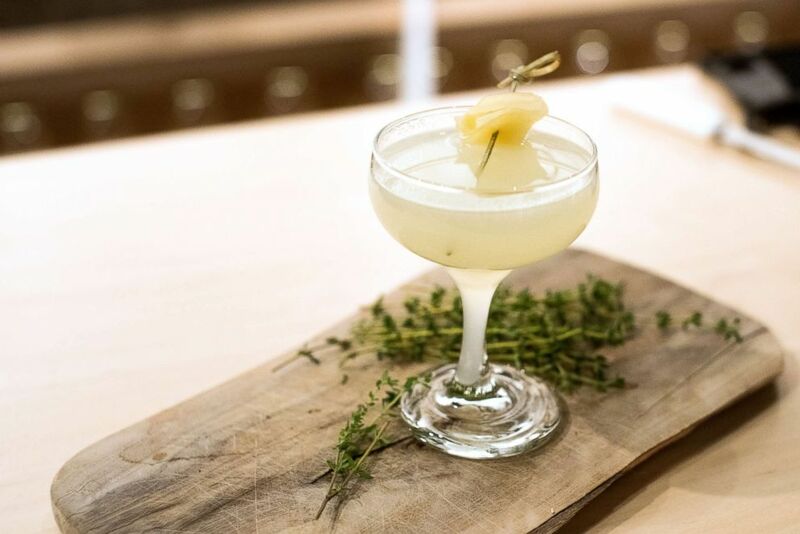 (The Botanist Gin) Spice things up with this ginger, lemon and mezcal "smokeshow" cocktail. Add all ingredients into a cocktail shaker. Strain into a coupe glass. Garnish with a ginger slice. 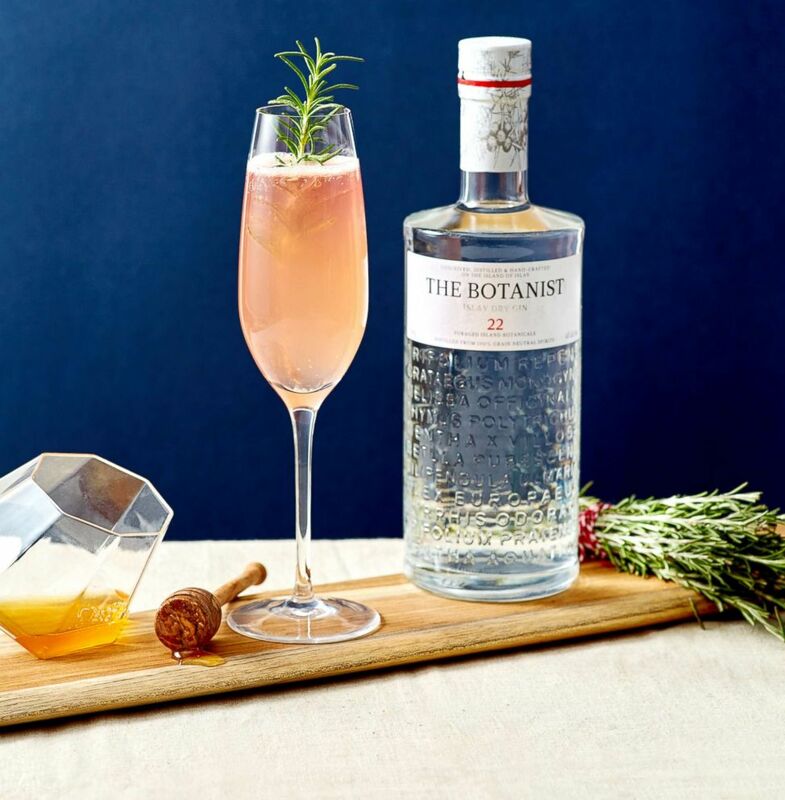 (The Botanist Gin) The Rose Fizz is a perfectly pink gin-based cocktail for Valentine's Day. Add gin, honey syrup and one rosemary sprig into a cocktail shaker. Add ice and shake. Fine strain into a champagne glass. Top with sparkling rosé and garnish with a rosemary sprig. 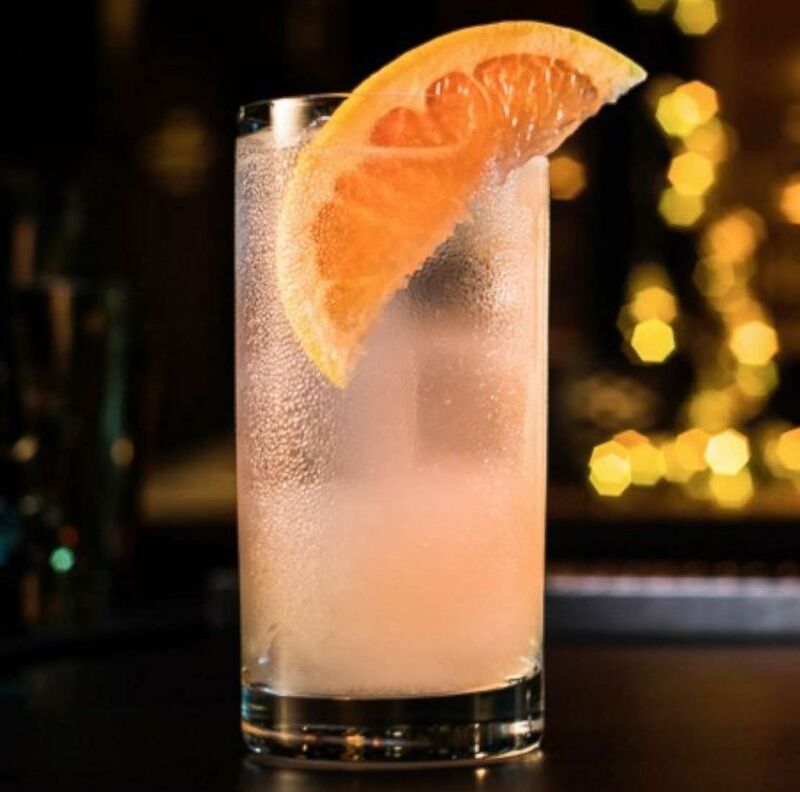 (Avion Tequila ) The "Playful Paloma" is a sweet grapefruit cocktail perfect for Valentine's Day. Build ingredients over ice in a glass, stir ingredients to chill and garnish with a lime wedge. 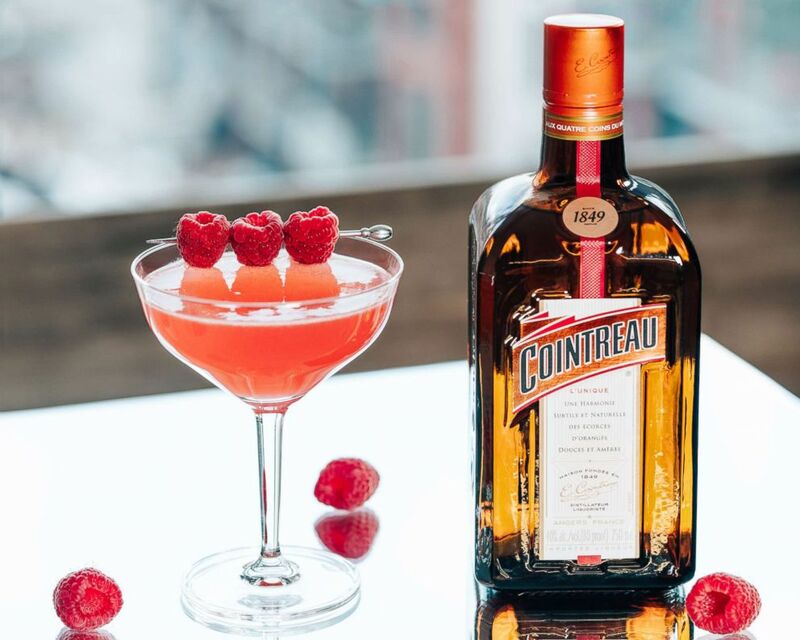 (Cointreau) Sip on a sweet and bright Raspberry Royale cocktail this Valentine's Day. Muddle the raspberries in the bottom of a cocktail shaker. Add Cointreau, fresh lemon juice and honey syrup and shake with ice. Strain into coupe glass. Top with Champagne and garnish with raspberries.